there are several communities in Obubra, including Yala, Ochun, Iyamitet, Apiapum, Ugep. There are also several towns and villages in Obubra LGA. The Local Government Chairman can help to document details in the web. 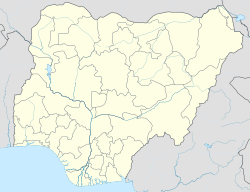 Obubra is a Local Government Area of Cross River State, Nigeria. Its headquarters are in the town of Obubra, which is home to the Ibrahim Babangida College of Agriculture. it is also home to Nigerian comedian and actor Edemities bobo. The National Youth Service Corps, Cross River State Orientation Camp is situated in Obubra Village of this Local Government Area other villages in obubra include; apiapum, Iyamoyong,Ohana, Ochon, Isabang, ovunom, ofodua, ofat, Ababene, Oderegha, Okorogbana, Onyodama, Ebo, and Iko, which is also inside onyodama each village has a chief leader but the overall ruler is called kudiden and he stays in oderegha. It has an area of 1,115 km² and a population of 172,444 at the 2006 census. ^ "LIST OF INSTITUTIONS FOR 2008 BATCH 'B' SERVICE YEAR". National Youth Services Corp. Archived from the original on 2011-07-24. Retrieved 2010-03-21. Rev. Chris is the Executive Chairman of the Local Government Area. 3. Rev. Chris is the Executive Chairman of the Local Government Area.